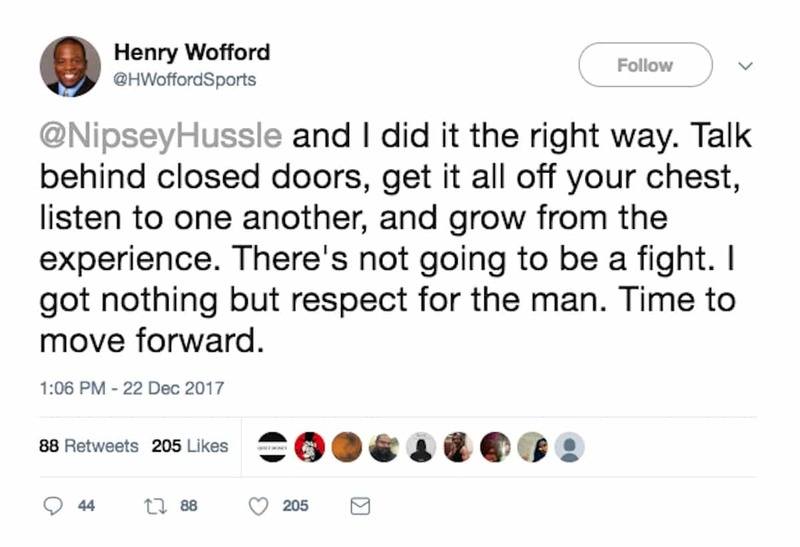 After beefing over news reporter’s Henry Wofford’s disrespectful comments he made about Diddy’s quest to own the Carolina Panthers, Wofford and Nipsey Hussle decided to squash their beef. No, that Uncle Tom reporter called your bluff, that’s all…..Lol. Lol it’s not going to be a fight!!! Lol Nipsey is so childish for even saying he was going to fight. Lol Lauren come get your Fiance. 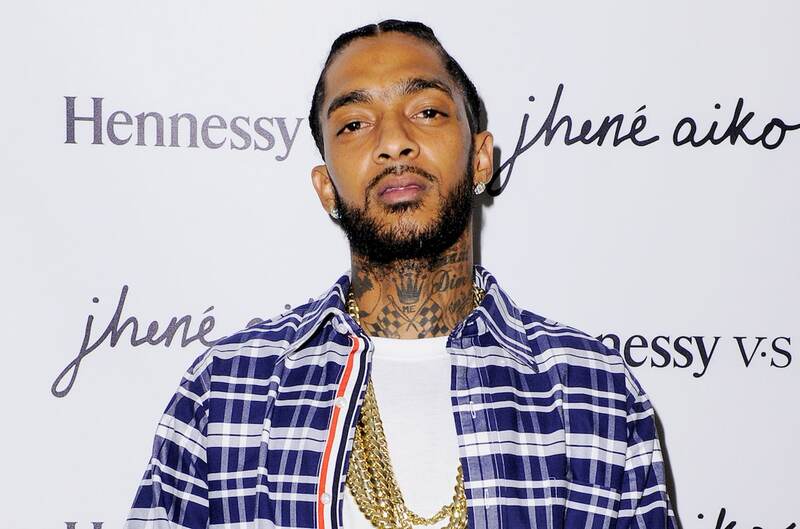 Nipsey really do go out of his way to try to clean up South Central in which I don’t think America understand just how bad it is. I’ve been around the country and I don’t see nothing as bad not even new York or LOusianna. 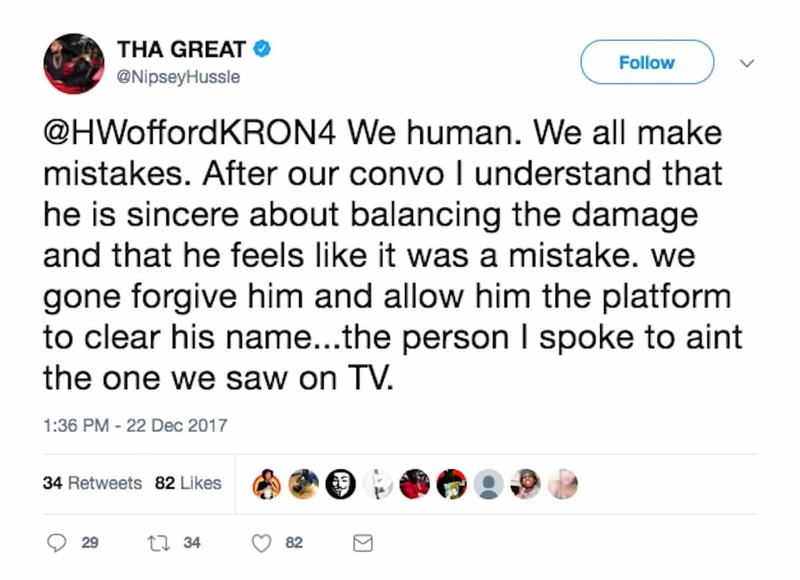 Nipsey like black business but I don’t know if Puffy count, he rip off black ppl. I’ve been around the country and back a couple of times myself and South Central La hoods are NOT the worst..youre tripping. God knows them country hoods alone got us beat. Wtf u talkin about cause that’s gotdamm lie.